The use of the natural resources of the region provides us with high-quality gastronomy, food and hand-made products, based on both excellent raw materials and manufacturing processes. 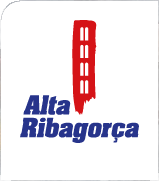 Beef, lamb, cheese, mushrooms, honey, jam, bread and their handmade by-products are some of the delicacies you will find in Alta Ribagorça. You will also have the opportunity to visit some food factories and find out about the products they make, characterized by their high quality and handmade manufacturing. Visit one of them and learn about the different production processes. Throughout the years, arts and crafts have also gained importance in the region, especially the Blanket Factory which, founded in 1876, is still in business. Other artisans who are characterized by their good work regarding both raw materials and manufacturing processes have also been developing their activity during the last few years. Take the opportunity to visit them and participate in one of their workshops.